Skyler Saunders, daughter of Sue Saunders, is an active student at Valley Heights. 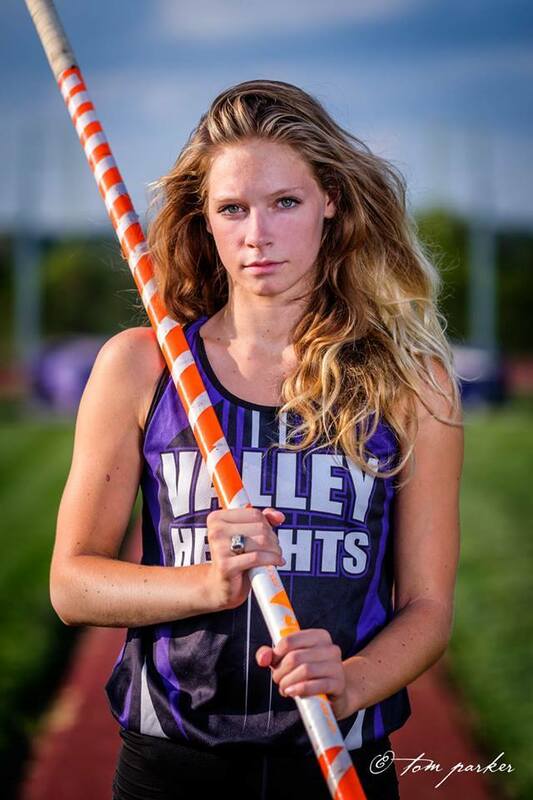 In her high school career Skyler has competed in Volleyball, Cross Country, and Track. She has also participated in Cheer, Drill Team, FCCLA, FFA, KAY Club, NHS, the All School Play, Forensics, Art Club, StuCo, Model UN, Scholars Bowl, and VH Club. With a list like that it’s easy to see that a word that describes Skyler is determined. When Skyler sets her sights on something she strives to reach it, even if she fails the first time. Her determination has created some memories she will never forget, such as qualifying for state every year. Due to all the hard work Skyler puts into all the activities she participates in, she has placed at State Track and State Forensics each year she has competed. All of Skyler’s hard work and success in track has paid off. After high school, Skyler plans to attend Washburn University on a track scholarship. Skyler can be described as a team leader and can make anyone laugh. After graduation, Skyler hopes to be remembered as an encouraging teammate and as the ultimate underdog.